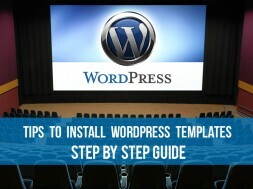 In fact, WordPress installation is a simple process, and many people, who worked with website templates before, would say “yes, it’s really simple”. But I believe it is a false impression for the reason that there are so many template developers, who create various templates in many different ways, and stating this I do not mean different designs and functionality, but different types of template installations that might differ significantly. Also, you might face some troubles with hosting requirements, as, unfortunately, even on WordPress optimized hostings users often get challenged by multiple issues of any kinds (so what else should we expect from non-optimized hostings?). When these four conditions are met, we can start working with the template itself. Please, do not rush to install it immediately: first of all, check the archive (.zip file) with template documentation, as you may find helpful a detailed information on installation process, system requirements etc. If it’s not the case, then just continue reading this article. Secondly, double-check compatibility of your template with the version of WordPress engine: this info is usually provided on the website where you purchased the template. Most often the engine of the latest version is installed, but the theme, if it is not new, might not be compatible. Obviously, it’s better to check this before installation. Another important point is the version of PHP and MySQL on your server. As you might not have any issues with MySQL version for the reason that almost all hostings currently use 5+ version, unfortunately there is the risk to encounter issues with PHP version. The latest WordPress engine version requires PHP 5.2.14 (not less), meanwhile there are some templates that require PHP 5.3. It’s strongly recommended to check the required PHP version to support your template in documentation or on the website where you purchased it. Moreover, I suggest increasing the version to 5.3 or even better to 5.4+ to make sure you won’t get any issues with this aspect. WordPress template can be “divided” into four nominal parts: the theme, plugins, images and SQL setting. Some templates have all 4 parts, some of them contain only 2 or 3 parts, there are templates even with a theme only, and as you can see we can get lost in the variety of options. Feel free to open your archive with template and see what it has. If there are folders/files named Plugins or Uploads, then believe me you will install them separately, and in case there are .sql or .xml files, then you will need to install them from the archive. So, let’s start the installation! If your archive contains only a theme, then there is not much to do. 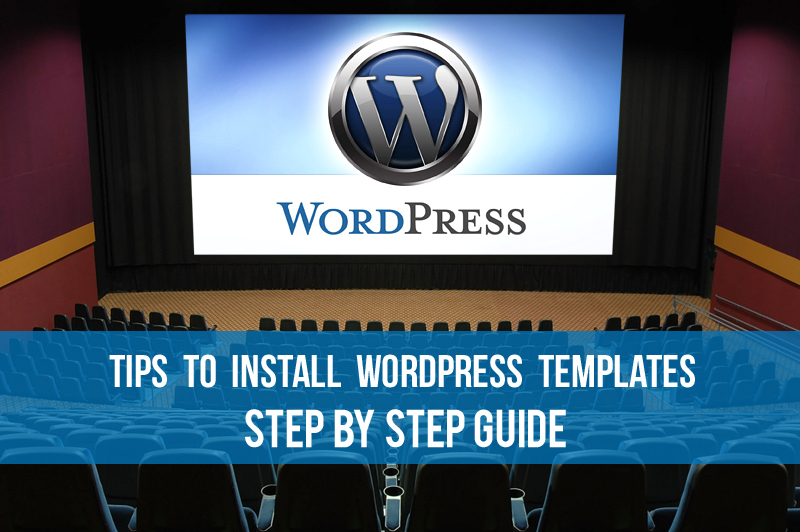 If your template has extended functionality, then you are now performing your first step in the whole installation process. themeXXXX or having a unique name, for instance, wedding, flowers, petstore etc. You may also have 2 themes – the usual one and a framework, integrated for an easier theme editing. If you’ve got 2 themes, start the installation process with the framework, and only then proceed to the usual theme. so press this button and upload or drag the archive with your theme to this Browse field (make sure your theme is archived prior to installation), and finally click Install. Right after the upload you’ll be suggested to activate your theme – don’t hesitate to do this. If nothing happens afterwards, just proceed to the next stage; if you are advised to install something, just follow the instructions. Many templates have a built-in wizard that helps to install plugins, images, set up SQL etc. My only tip for you is to follow step-by-step instructions and you’ll be smoothly guided through the process. In a new window press browse in order to find needed plugins on computer and drag them directly into field browse (plugins must be archived in .zip format). Once each plugin is uploaded make sure to press activate button. The plugin installation is completed and you can proceed to the next step. It’s not possible to install Uploads through admin-panel, now you’ll need a direct access to the files. Open File Manager in hosting Control Panel (keep in mind that many hostings have limits for the size of uploaded file). The size of the folder Uploads can be too large and File Manager might block it, don’t panic – just use FTP connection. FTP access details can be found in Control panel, so you’ll connect through FTP client (I recommend FileZilla or connecting up via Total Commander), find WordPress engine installed by you before. The engine will have 3 catalogs: wp-admin, wp-content and wp-includes. We need wp-content catalog, so open it, find the catalogs with themes and plugins that can be installed manually (admin-panel would be better to perform this action); and then upload your folder Uploads (make sure to archive it in .zip format prior to installation) to this directory. Afterwards you’ll need just to unzip it, and voila! – folder Uploads is installed, and you proceed to the last stage. а) If your templates contain .sql file, then access to database, where the engine is installed, is needed. To find the database with engine installed, proceed to the catalog with your engine and find wp-config.php file. Open it for viewing and spot the lines with your database name, database username and hostname. In Control Panel find the list of existing databases, choose the needed one and open it via PHPMYADMIN (it’s available practically on all hostings either in the form of a separate link, where later we’ll add our database details, or it will be a button near a database that opens it in PHPMYADMIN). In PHPMYADMIN interface you choose the needed database and press Import button, but prior to sending your .sql file to Browse field, it’s important to change domain name (usually the process is described in detail in template documentation ). Now open .sql file in Notepad++ (or similar program), find a word or a phrase that needs to be replaced (it will be something like domain_name or you_website_url_here), press ctrl+H , enter your phrase in the upper field, then your domain name in the bottom field (e.g. http://yourdomain.com), press “Replace All”, and only then upload our file to PHPMYADMIN and press GO. This is it! Now open admin-panel and update database if it’s requested or suggested, and meet your newly installed website! b) If your template contains .xml file, you’ll need to upload it to a special template import or framework (most likely this file will be contained in the template archive in folder named Sample Data). It’s advised to upload all files at once to browse field of the importer or one by one in turn – the method depends on the type of template importer given by default). if this plugin is not installed yet, it will be suggested. Press Install and upload xml file to browse window, choose user (administrator), check import attachments and press Install. Once you see “have fun!” message, you’re welcomed to open your website and enjoy your newly installed template. We recommend you to read 2nd part of this article which will tell you about about common installation mistakes and tips on how to install WordPress template on popular hostings. previous What's the Difference Between Effective Landing Page and Mediocre Landing Page? Lester Conway I'm a professional web developer. 11 years of experience force me to say: "If you don't know how to do it - ask me and will answer on all your questions". A bit arrogant? So what? How to Take a Screenshot on a Mac Computer?